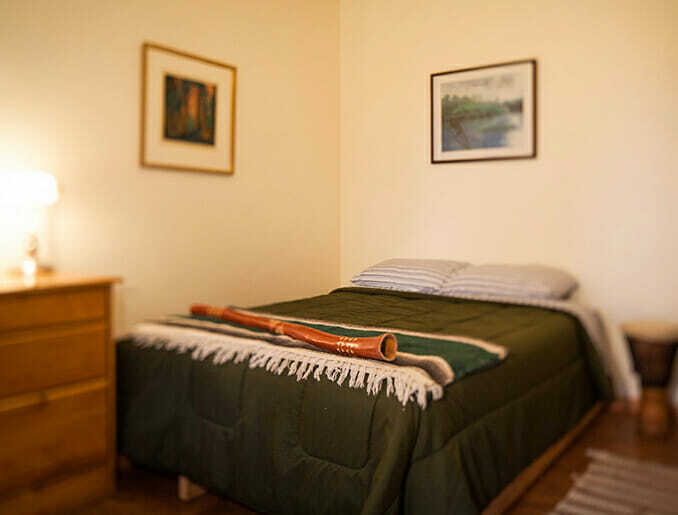 Heartwood offers a variety of lodging options from ensuite to camping. 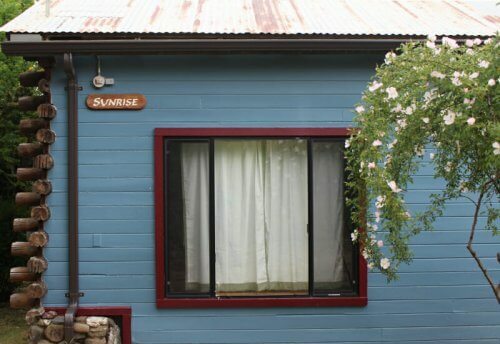 Book a cozy bungalow among the firs or enjoy one of our modern, eco-renovated dorms. All of our rooms come with beautiful surroundings, friendly staff, and an unique opportunity to relax and unplug from the daily grind. Our 200-acre wilderness campus is the perfect backdrop for a weekend getaway or your next group event or retreat. Enjoy a farm fresh meal at the Heartwood Lodge and don’t forget to check our calendar to see what educational offerings may be happening during your stay! 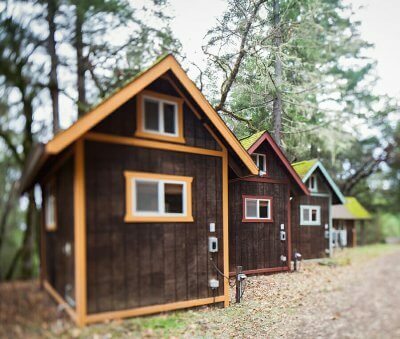 Madrone is located in a wooded section of the property, just past Bodhi, our staff housing dorm. This eco-remodeled dorm has cork floors, simple furnishings, desk, lighting and a wrap around covered walkway. 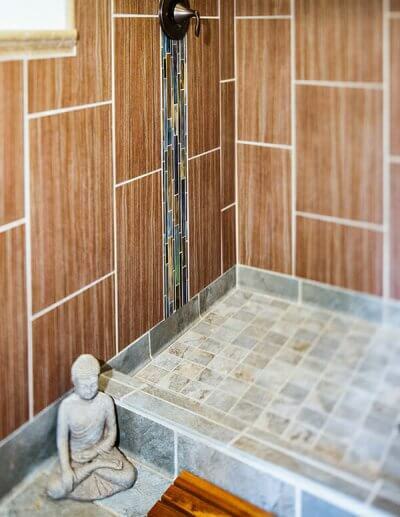 Beautiful tile work adorns the shared bath and shower rooms within the building. There are two ensuites available, one of which is ADA-accessible. Double occupancy with your choice of Full, Queen, or King beds now available in the Madrone Dorms. Sunrise is located near the Strawbale Meditation Temple on the upper campus. 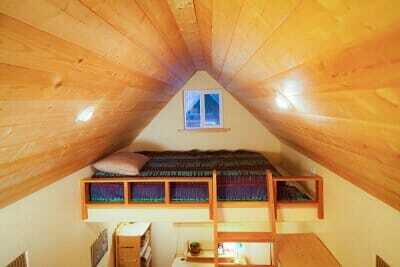 Each room provides a desk, lighting, outlets, bookcase. A newly remodeled shared bathroom with two toilets, two sinks and two showers can be accessed in the center of the building. There is also a multi-functional classroom and meeting space in the building. Rooms range from $112 – $165 per night plus tax. Nestled in a grove of woods a short walk from the Main Lodge & Spa you will find the Bungalows. 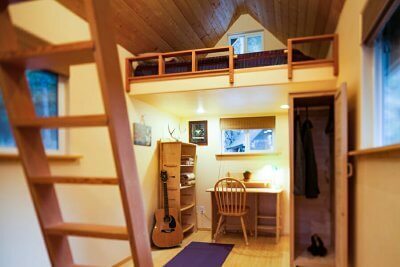 Our stand-alone eco cabins (cedar siding, bamboo floors, and birch furniture) offer a full size loft bed, desk, bookshelf, closet, and covered porch. 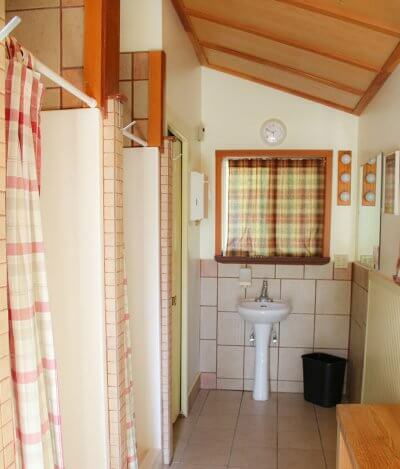 The Bungalow Bathhouse is nearby with an outdoor private shower and double vanity sink. The toilets and laundry room are a two-minute walk down the road to the indoor Manzanita Bathhouse for both men and women. The Lodge, Sauna, and Hot Tub are a short walk uphill from here. 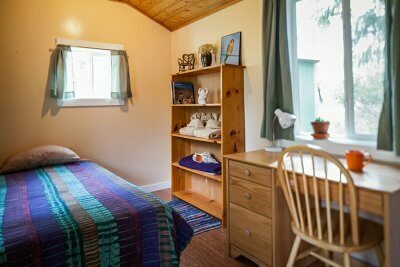 Bungalows and Cabinettes start at $95-$135 per night plus tax. Manzanita Bathhouse is available to guests of the Bungalows and Cabinettes and is located below the Lodge next to the Lower Dorm (when is currently under renovation). 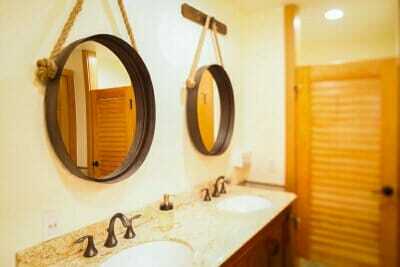 The bathhouse is newly remodeled and has four showers, two toilets and two sinks. The Cabinettes are stand-alone, tiny cabins located next to the Ceramics Yurt in the heart of campus. Simply furnished with a bed, desk, lighting, outlets and covered entryway. Bathroom and laundry are at Bodhi staff housing, a two-minute walk away. 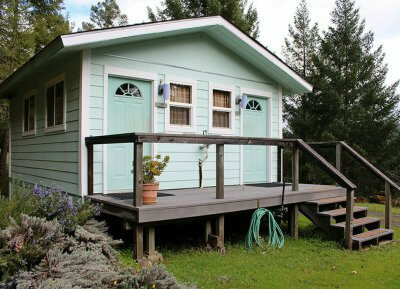 When not in use by our Artists in Residence program these cabins are available for nightly rentals and special events. Campsites start at $26 per night plus tax. Across our property are 25 campsites for you to choose from. We have Douglas Fir woodland campsites, Madrone forest campsites, meadow campsites and more. We also allow you to camp in your vehicle on our property for the same rate. When you check in at the Welcome Center we will help you find the best spot suited to your needs. All campsites are located a short distance from shared toilets and showers, with minimal amenities onsite. Campers should bring all necessary camping equipment. The Welcome Center is open Mon – Sat and offers a selection of snacks and basic supplies. From April through November, the Heartwood Kitchen serves a farm fresh, vegetarian menu to community and guests. Sunday Brunch is served every week from 11am-1pm and our monthly wood-fired Pizza Nights are a neighborhood favorite. Check our calendar for current offerings, and then call the Welcome Center Monday through Saturday 12-5pm to make your reservation. Guests who would prefer to cook for themselves are welcome to use the Community Kitchen near the Main Lodge. This is a communal kitchen, so we ask that you keep the space clean, put items away after use and store your items in boxes with your name clearly marked on it. Is the Pool and Sauna included with room? Yes, all overnight lodging guests receive a complimentary pass to the Pool and Spa area during their stay. You will have full access to our spring fed outdoor swimming pool (seasonal), hot tub jacuzzi and cedar sauna, as well as outdoor shower and ADA-accessible bathrooms. Campers can add on Pool and Spa Day Pass for reduced rate of $10. Bring your own towel or rent one from the Welcome Center for an extra $5. Learn more about our spa amenities. Can we book a massage or other therapeutic treatments? Yes, we keep a list of preferred massage therapists at the front desk. Please call 707-923-5000 to book your appointment. Can we attend classes and workshops while visiting? What type of weather conditions should we pack for? Please come prepared for warm days and cool nights. In the winter months, we can experience snow and cold rain, so you will want to pack layers to keep yourself warm and dry (jackets, hats, gloves, waterproof boots, etc). In the summer we experience temperatures ranging from 80-100 degrees during the day and cooler temperatures at night due to the coastal breezes and fog that move in through the valley. Heartwood’s property is steep and requires good hiking shoes. Sandals also work, but if you wish to have sturdier footing and supported ankles, definitely bring your hiking boots for trekking around campus! Is Heartwood open year round? Yes, we are open year round, although during the winter months we have shorter hours and scaled back culinary and educational offerings. The pool is open May - October (weather dependent), and the sauna and hot tub are open year round. Driving up our mountain roads can be more difficult in winter and The Heartwood Shuttle is available to pick up guests in town (Garberville, Eureka or Hartsook locations) and transport safely to campus. Yes. Although the Heartwood property is steep and mostly unpaved, we do offer handicapped accessibility. 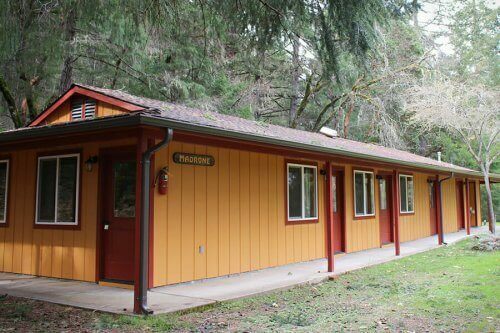 There is an ADA room with private bathroom in the Madrone dorm (#32), ADA parking, access and showers near the sauna and hot tub area and an ADA entrance to the Main Lodge. Please call the Welcome Center at 707-923-5000 and let us know how we can assist you during your visit. Heartwood is a wildlife sanctuary and is unable to accommodate visiting pets. Please honor our No Pets Policy by leaving your furry family members at home.